INSTANT WIN GAMES:: Number of entries allowed will vary. Just started sweeping? Join me on our Sweepstakes in Seattle Facebook page! New sweeps are posted daily! And if you win – LET ME KNOW! I want to know who is winning so I can share the good news! 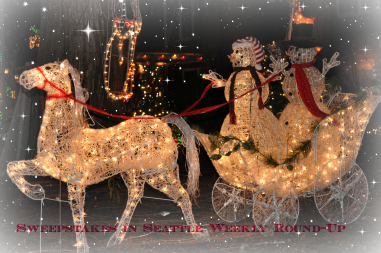 You can also join my Sweepstakes in Seattle Facebook group page and follow me on Pinterest!